Not a metaphor! 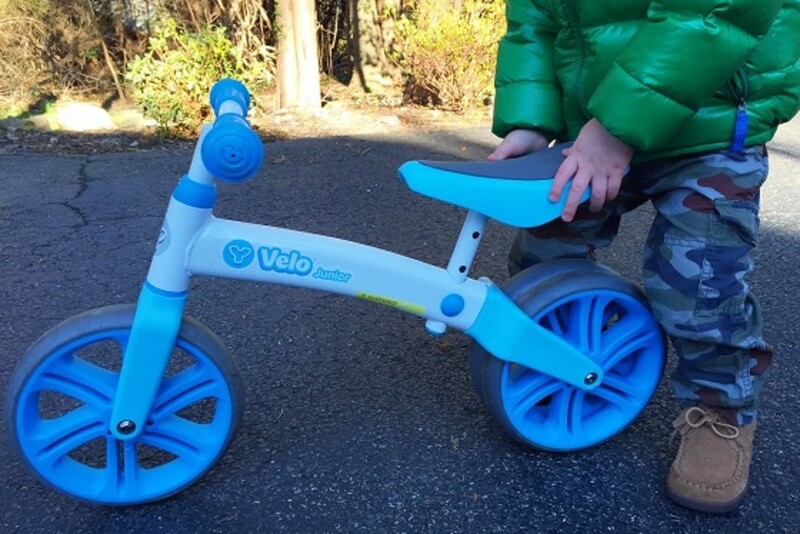 Learning to ride a bike without training wheels with the Y Velo Junior Balance Bike. Don&apos;t let the title mislead you, this post isn&apos;t a metaphor for any of my New Year&apos;s resolutions (wink, wink!) My little guys have been getting their energy out and honing their riding skills on the Y Velo Junior Balance Bike from Yvolution. While bikes with training wheels teach children on how to pedal, they’re typically pretty heavy and reinforce balance, the most important component to riding a bicycle. The Y Velo Balance Bike Junior is designed to help toddlers develop balance, steering, and gross motor skills to get them ready for serious riding, as well as other athletic activities. My kids took right too it. It&apos;s easy to ride, making it a great first bike. Riders are seated so that their little legs can reach the ground comfortably (the seat is adjustable). To get mocing, they simply walk to ride and then eventually, run and cruise. Stopping or slowing down requires nothing more than placing their legs firmly on the ground. Y Velo Balance Bike Junior has a built-in steering limiter that also allows children to maintain control of how much they turn, a single front wheel, and two rear wheels, offering extra stability for early riders. The wide tires provide a steady ride across different terrains, taking kids from the sidewalk, to the boardwalk, to the soccer field. What I like best about the Y Velo Junior Balance Bike (other than how easy it is to assemble and ride!) is that it grows with your child. Both the seat and handle bars adjust, and it can become a single wheel bike when one of the rear wheels is removed. There are no training wheels or pedals. As riders get older, they can graduate to a larger Y Velo Balance Bike or traditional set of wheels. Something tells me my little guy is going to be ready for a big boy bike before we know it! 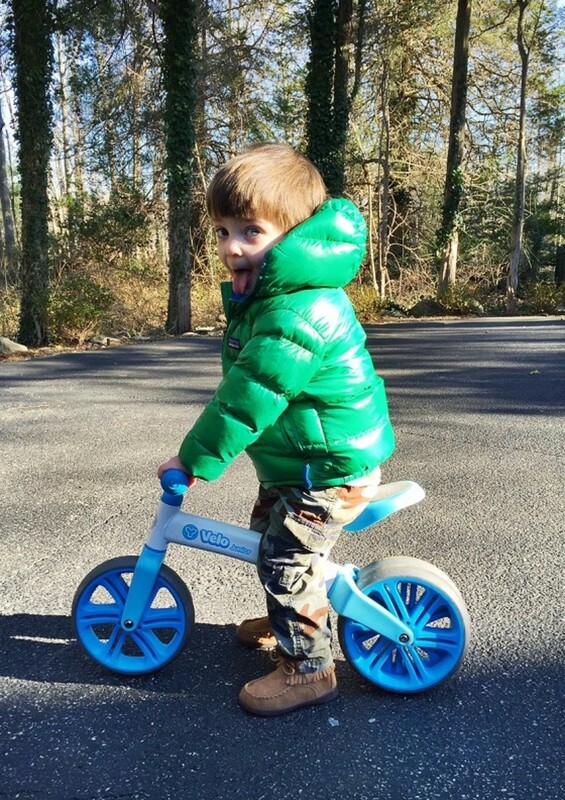 Y Velo Junior Balance Bike is recommended for ages 18 months to 4 years (don&apos;t tell Sebastian ha!) and is available exclusively at Toys“R”Us.